Generally, social media marketing is thought of as relationships between businesses and consumers, dominating social media campaigns and content. However, social media can also contribute greatly to B2B marketers as well by providing increased website traffic, leads, and sales when leveraged properly. Before you sit down to master B2B social media marketing, you need to first know the end goal. Do you want to gain more knowledge for marketing outreach? Are you driving traffic to your website? Do you want more e-mail sign-ups? Do you want increased sales? 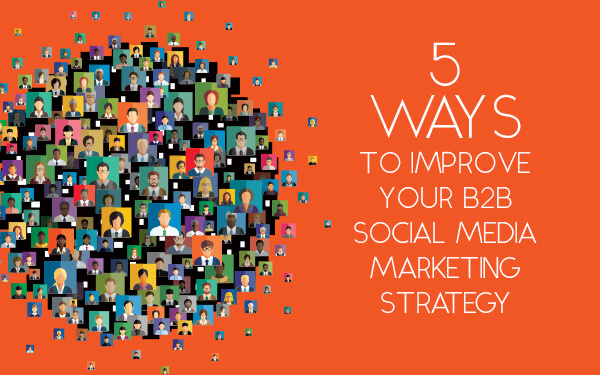 Once you know the answers, now it’s time to configure your social strategy. Just because it’s B2B, doesn’t mean the content needs to be boring. Sure, it can be more challenging to make it exciting, but at the end of the day, you’re still marketing to another human being. Exploring the power of video content and moving images will take your platform to the next level. Some examples include promo videos, testimonials, time-lapse animations, and more. Again, influencers are not just for the B2C companies of the world. Influencers can be hired to explain the benefits of your products or services, demonstrating its ability in a video for social media. Using these natural social stars, they know how to showcase your benefits without coming off as overly sales-y. You can even enlist them to offer up a product or service review that will persuade other companies into partnering up with you. How many different social platforms are you on? Followers can tell if you’re copying and pasting your efforts to all of them. Take time to optimize your profile for each site, with potential variations in cover photos, profile pictures, and post text. Many times, businesses will check more than one of your social profiles before doing business with you. Make sure they are impressed with what they see. Now that you are opening up channels for more leads through your business, it’s important to track how many of each are coming from which social networks. Which ones are converting to buyers? The best way to measure the effectiveness of your B2B social strategy is to track lead attribution. In order for you to be better in the future, you have to first be knowledgeable about the past. Here are Current360, we understand the importance of refined, measured, and creative social media marketing for your B2B operation. The fun aspects of social aren’t just reserved for the B2C entities of the world – you can leverage them to increase leads, sales, and conversions across all verticals. Social media marketing is a universal tool that can be wielded by any entity – say yes with us today.